SINGAPORE ROCKS!!! WHY YOU NEED TO BE AT MANNEQUINS EP LAUNCH!!! 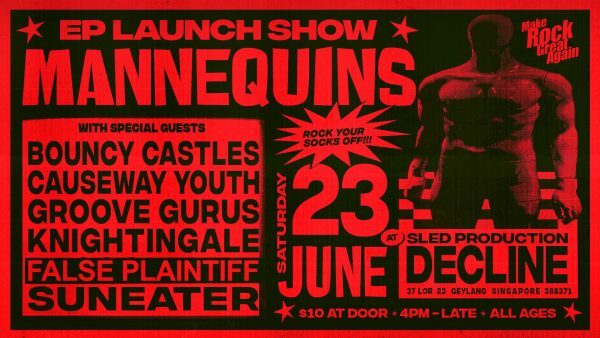 In many ways, the upcoming Mannequins EP launch show is a throwback to the recent past, a relic from a different age. Author Kevin MathewsPosted on June 22, 2018 Categories MUSICTags Alt-rock, Bouncy Castles, Causeway Youth, False Plaintiff, Groove Gurus, Knightingale, Live News, Mannequins, News, Power Pop Rock N Roll, S-ROCK, Singapore Rocks!! !, SuneaterLeave a comment on SINGAPORE ROCKS!!! 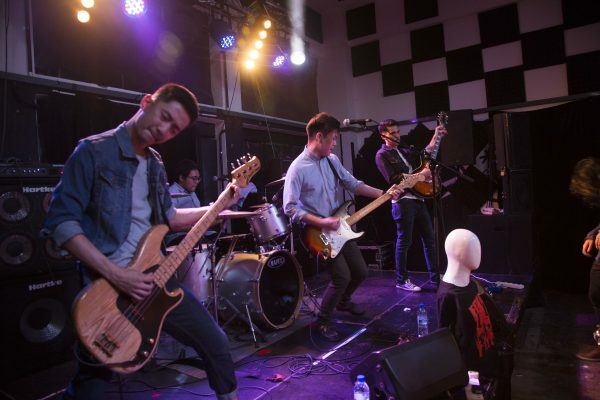 WHY YOU NEED TO BE AT MANNEQUINS EP LAUNCH!! !